Warren To Strictly Enforce Fireworks Laws – Mayor James Fouts Will Monitor Neighborhoods July 4 And Visit Fireworks Vendors June 30 & July 3. Warren Mayor Jim Fouts has directed Warren police to strictly enforce city fireworks laws this weekend. “Violators will be prosecuted with fines up to $500. We have zero tolerance for breaking the law,” said Warren Mayor James Fouts. 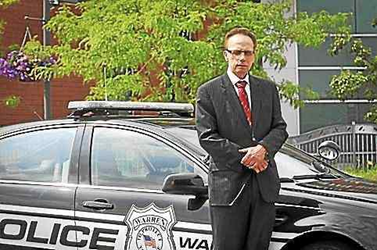 For the fifth consecutive year, Warren Mayor Jim Fouts will ride-along with a Warren police officer July 4 at 8:30 p.m. to monitor city streets for fireworks violations. Mayor Fouts said a special task force ­has been formed consisting of police, property maintenance inspectors, CERT’s (a police volunteer group), fire department personnel, and park employees, all of whom will be patrolling neighborhoods July 4. This year, for the fifth year, police undercover officers will also be on the lookout for fireworks ordinance violators. “The legislation legalizes fireworks on 10 holidays including Christmas and Thanksgiving, which I believe is inappropriate. These are family holidays, hardly days to discharge loud fireworks,” said Mayor Fouts in a statement. “When fireworks are discharged, I receive many calls from upset residents about the impact of loud fireworks on their pets, senior citizens, and their peace and tranquility. I still believe this law should be rescinded because of the disruption, police overtime, blight, and noise caused by the law.” added Mayor Fouts. 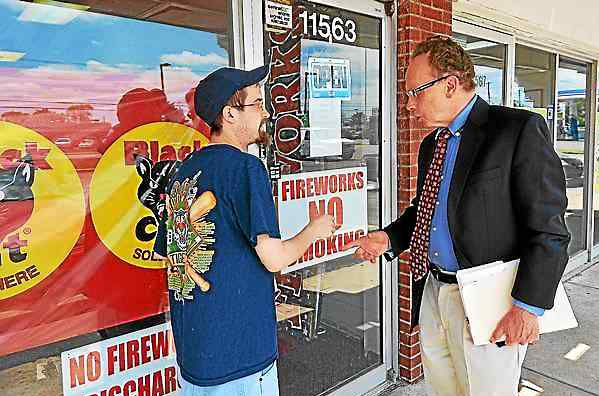 Mayor Fouts also noted that he supports the proposed state legislation that gives local communities like Warren more control over fireworks. All City of Warren Parks will be closed at 9 p.m. July 3-5. On July 4, all fireworks are prohibited between midnight – 8 a.m.; on July 3-5, midnight – 8 a.m. Discharge of legal consumer and low impact fireworks is prohibited from 10:30 p.m. – 11 a.m.
On Friday, June 30, from 11:30 a.m. – 12:30 p.m., and Monday, July 3, from 11:30 a.m. – 12:30 p.m., Mayor Fouts will do a random visit to commercial vendors of fireworks in the city to ensure that they understand the city’s rules on the sale of fireworks. Below is a list of Warren’s fireworks regulations. This entry was posted in Community Development, James Fouts, Mayor, Safety Initiatives. Bookmark the permalink.